The picture above comes from Jan Pospíšil's blog found here. It was brought to my attention by TOR's very own Jon Hodgson, who unsurprisingly enough seems to feel a strong artistic bond with Jan (also known as Merlkir). I was familiar with Jan's previous work, but something about this one strikes me as so just right. 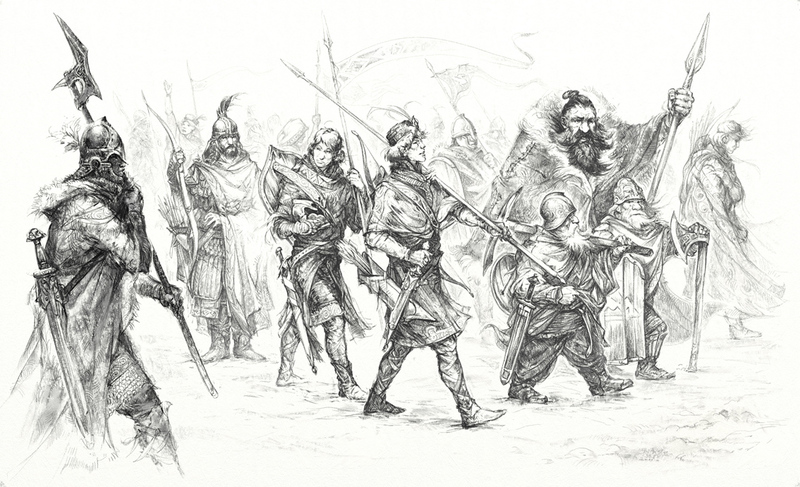 So, I wonder, is there anyone who like Jon wants to see more Middle-earth stuff from this talented czech artist? I certainly do.